With the holiday season upon us – which means it’s time to buy books – perhaps you are wondering what to get for a child of your own, or your first grandchild, or all those nieces and nephews, or even the newborn of one of your co-workers. Today I’m in the mood to reminisce about some of the classics that my family simply loved during the early years. We started reading to our sons pretty much immediately – well, probably as soon as they could hold their heads up at a couple months old and the fog from the netherworld of childbirth itself had started to clear. Early on, we used to keep all the books – mostly board books, the ones made of sturdy cardboard with just a picture on each page – in a basket. Our oldest son is famous in our family for getting himself settled on the couch in the family room, clutching his teddy, pointing to the basket and commanding his uncle, who had come to babysit, to “Read!” They’d proceed to go through the entire basket. And then they’d do it again. This basket included Pat the Bunny by Dorothy Kunhardt, which is a “touch and feel” book because it’s got surfaces that an infant and toddler can touch to learn about how soft a bunny is or how scratchy daddy’s beard is. The power of Pat the Bunny lies in how the story, such as it is, puts words to how these things feel. Like so many early childhood books, Pat the Bunny exposes children to the concept that everything around us has been named, and these names can be experienced by the sound of a parent’s voice, a picture that goes along with it, and those symbols and lines and shapes that are next to the picture – what we hope they will one day recognize as words, the very words their parent or grandparent or sibling has been saying all along. Board books and “touch and feel” books can be the foundation for literacy for the littlest people. Pat the Bunny was first published in 1940 and has sold more than 6 million copies. There’s now a whole series of Pat the Bunny books. 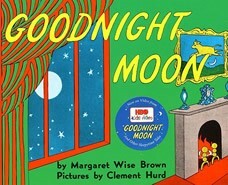 Another beloved classic is Goodnight Moon by Margaret Wise Brown. It’s the perfect bedtime story. The whole message and tone of it, and the accompanying pictures, are intended to settle everyone down, as the bunny narrator slowly says goodnight to the moon and everything in the room. It’s one of the sweetest stories ever told. It was written in 1949 and it, too, is still going strong. Moving on in years, another sweet series by Arnold Lobel involves two best friends named Frog and Toad, who have adventures and share things and show what friendship is all about. There is a gentleness to both their natures that is a healthy antidote to the “real” world. Be sure to start out with Frog and Toad Are Friends. The books are billed as early readers, but this is also a great series to read aloud to younger children who are able to sit still a little longer and are ready for a longer story. Well, I could go on and on and on. There are so many fantastic books out there and, I’m sure, some fantastic children in your life who you’d love to share them with. This holiday season, consider checking out your local book store, talking to the sales people, putting together a little library, and bringing the joy and wonder of stories and language to a child near you. And please, please plug your email address in at this link to ensure the Pottstown YWCA’s literacy program gets one more dollar from their anonymous donor and many more folks in our region will get the chance to learn to read and write. Thank you. 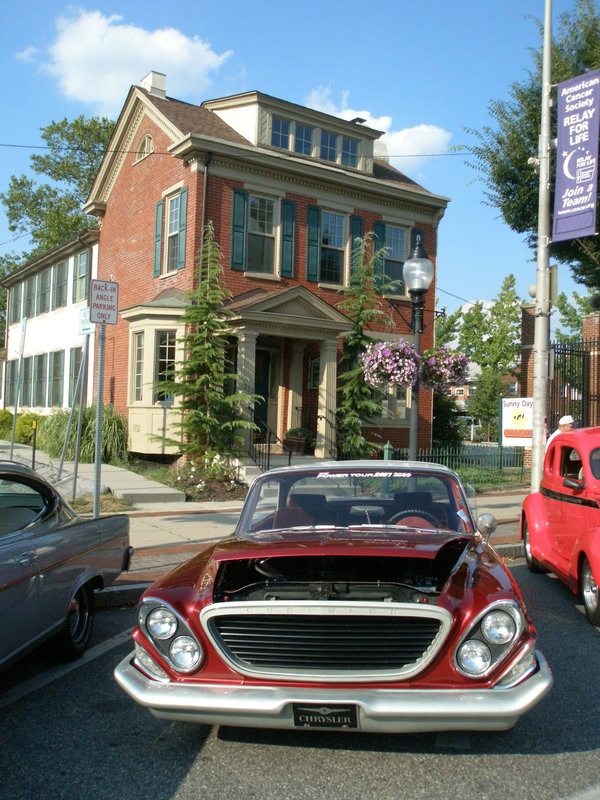 Lots of holiday activities for the family in downtown Pottstown from 4-8pm TODAY!